September brings the exciting news that we have won the Teachers ChoiceSM Award 2019 for the Family for our Red Rocket™ Readers Library Collections! 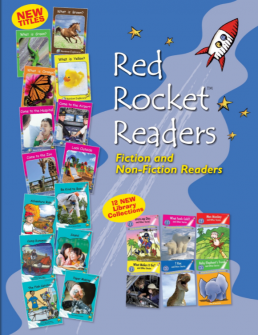 These 12 special editions each bundle together 8 bestselling Red Rocket™ Readers into a hardcover (library bound) format, making them the perfect choice for public libraries and family bookshelves. These collections are perfect for a week home reading practice – parents can listen to their children read one or two stories each day and watch their reading levels take off. Parent support is built in with a handy navigation guide at the back of each title and free printable worksheets available to download. View the Library Collections in our Bookshop.